How to access OneDrive files via web? I've searched but not found an answer. I would like to access all the files on OneDrive from another PC via foobar. I cannot download the files locally so I tried to add the https:// path of the root folder of my music in foobar but it was not able to discover (and play/stream) the content. Re: How to access OneDrive files via web? maybe I'm doing something wrong but I'm not able to get it working. also your method works on a single file, but if I want to play all files in a folder? Your link doesn't work even in browser. Just discovered that for some file types you even don't need foo_input_ffmpeg. 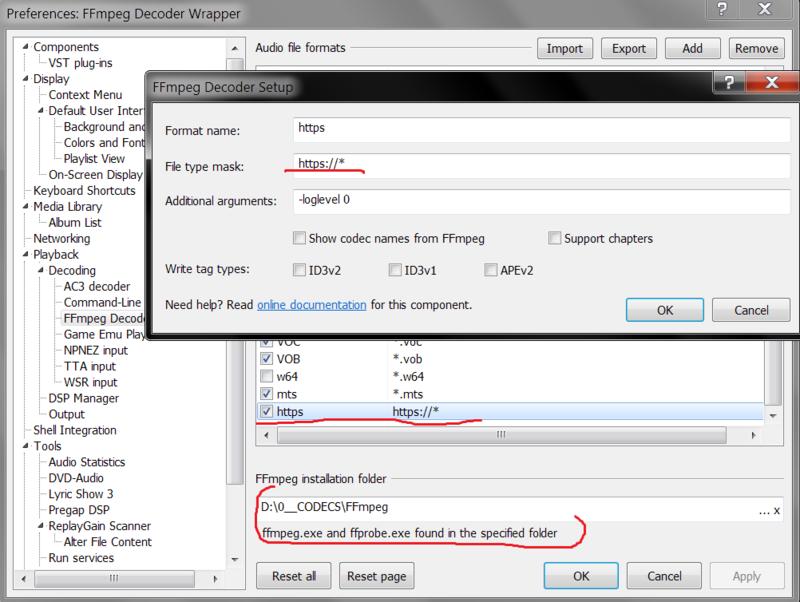 For example mp3 works even without foo_input_ffmpeg. But for FLAC you will need foo_input_ffmpeg. ok, thank you. I think I missed some chars when I copied the link. Yours work.